Portland, OR. Guide Dogs for the Blind (GDB) raised nearly $300,000 at Pinot & Pups, a special benefit at the Portland Art Museum. More than 350 GDB supporters and guide dog users gathered for the fundraiser on May 12th. Haley Pritchard smiled for a photo with a guide dog in training at the party. Guide Dogs for the Blind pairs dogs with people experiencing visual impairments and blindness; it provides services free of charge and receives no government funding. 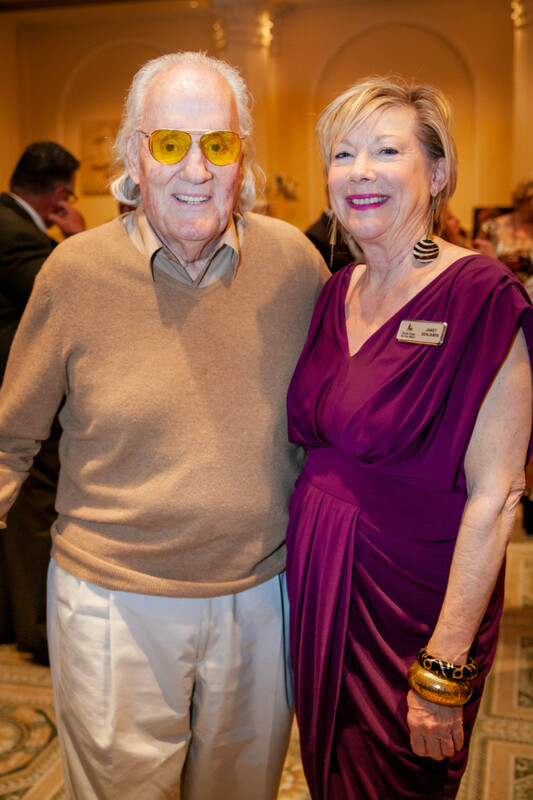 GDB supporter Howard Hedinger spends time with GDB National Major Gift Officer Janet Benjamin. GDB CEO Chris Benninger spends time with Barbara Summers and Board Member, Von Summers. Noi Hall and Linda Glasser team up to bid. Yellow Lab guide dog puppy, Flash, sports a bow tie along with his puppy vest. GDB staff members pose with canine heroes in training. Sue Dishart, Jeri and Darrell Livingston enjoy the wine reception and silent auction that kicked off Pinot and Pups. Michelle Holman and Skee Bernhardt get ready to bid with wild abandon. Janet Rivera enjoys the thrill of victory. David Pazourek and Claudia Bowers enjoy the evening’s program – especially the live auction. Ron Richards and Kathy Leathers celebrate a winning bid. They won the infamous wine and chocolate package! Guests enjoyed wine and beer at the event. The event featured local fine wine and beer tastings, people (and dogs) dressed to the nines, a silent auction, a live auction and inspiring stories on the real impact a guide dog has from active guide dog users. Featuring one story from an active guide dog user and her adult son, who became a trainer for GDB after seeing how much of a positive impact the organization had on his mother’s life. All proceeds from the event benefited Guide Dogs for the Blind.